A long long time ago in a galaxy far far far away… I pinned this oh so surreal directions on how to clean your microfiber couch. And it sat on my pinboard for months and months…until a snowy day, a dirty couch, and the prospect of being stuck inside spurred me into action. I beat the snow to the grocery store, got my supplies, and was back at home before the snow had become to thick of a flurry. 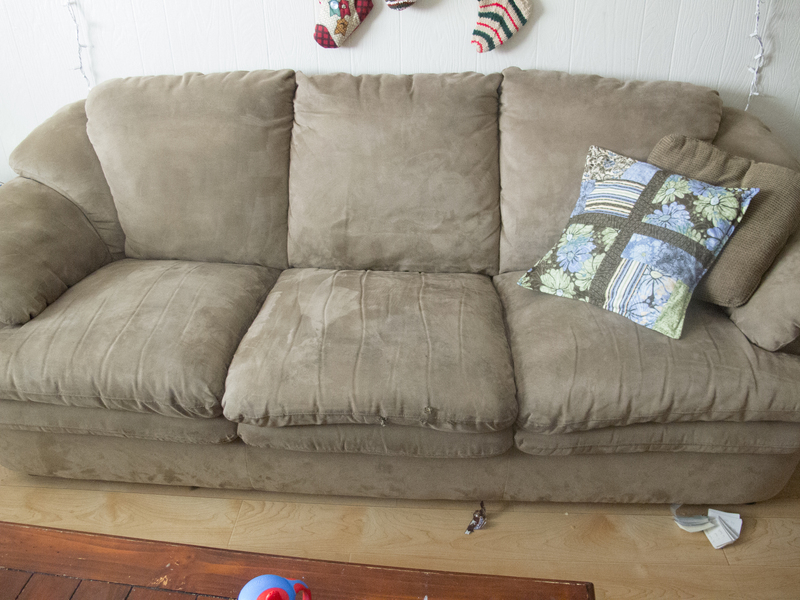 I did this project in two different shifts.. a couple weeks ago I cleaned 2 cushions on the couch. 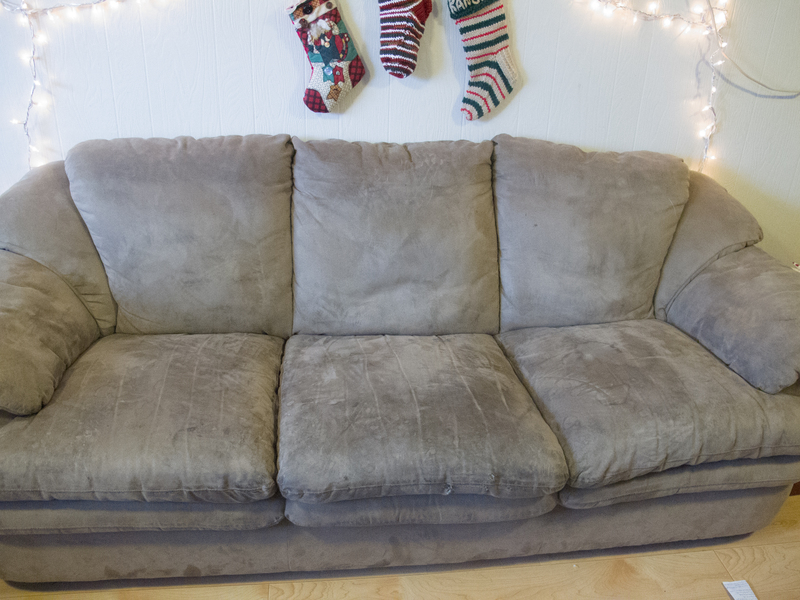 And this friday I finally finished up that last cushion and whipped the loveseat into shape. I am sooo happy with how much cleaner they both look and I will definitely make this a part of my regular (maybe yearly? maybe once a season?) cleaning routine. I followed the directions from 551 East to the T, except I found a sponge with a white plastic scrubby overlay that worked immeasurably better than just a plain sponge. I think the dirt was so engrained it just needed major scrubbing power. So keep that in mind as you’re buying supplies. 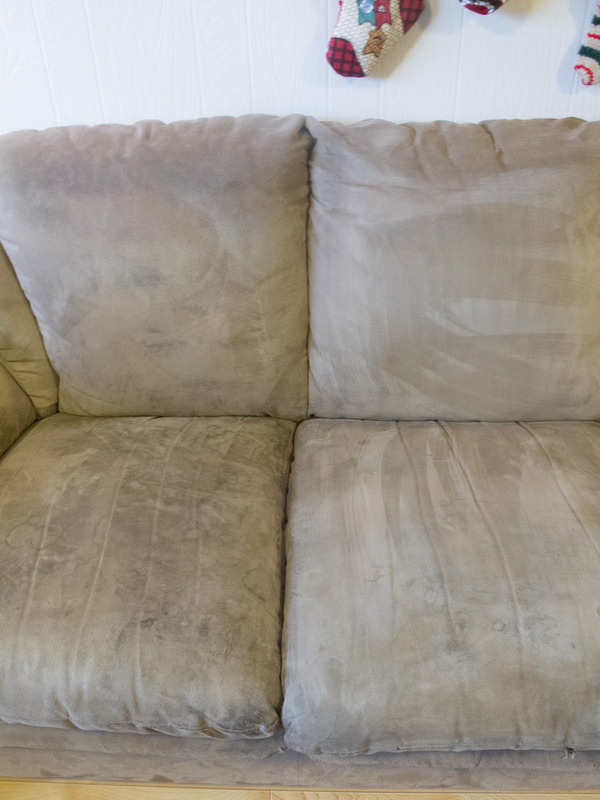 Also, on the site it doesn’t mention how much rubbing alcohol you might need to clean a couch. 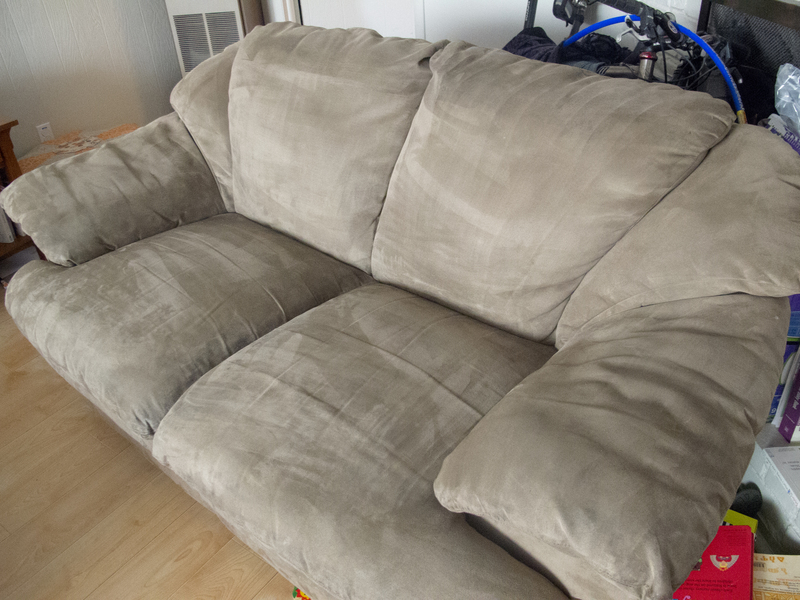 I was able to clean the loveseat and the couch with just one 16 oz bottle. Yay! Just the response I was looking for!